The "suitable disks" error is triggered by the installer checks. The requirement is that a minimum of 16 GB of free space is available prior to installing\updating SQL. Simply cleaning up the drive where CSDATA lives to free up space gets it sorted. Labels: Install-CsDatabase : Command execution failed: Cannot find any suitable disks for database files. 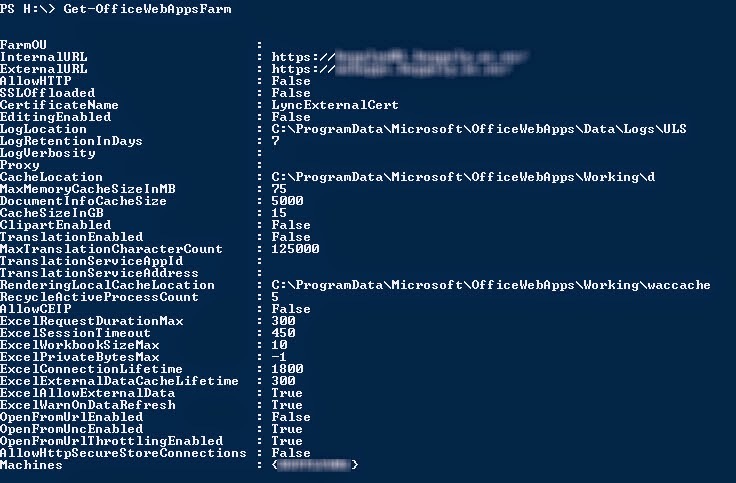 After following the basic install procedure I attempt to look at the Office Web Apps Farm configuration with the PS command Get-OfficeWebAppsFarm. The following error is thrown.. 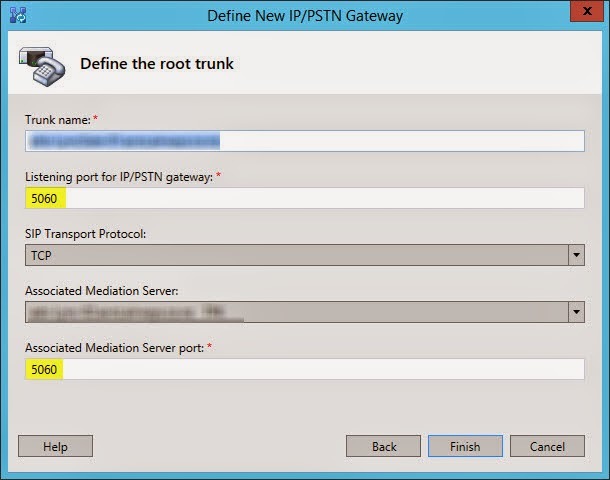 I found that (IMHO) the issues was unrelated to installation path or server version. 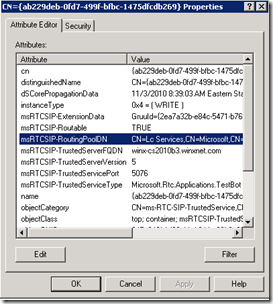 Instead it appears to be an issue with the ASP.NET installation\registration with IIS. 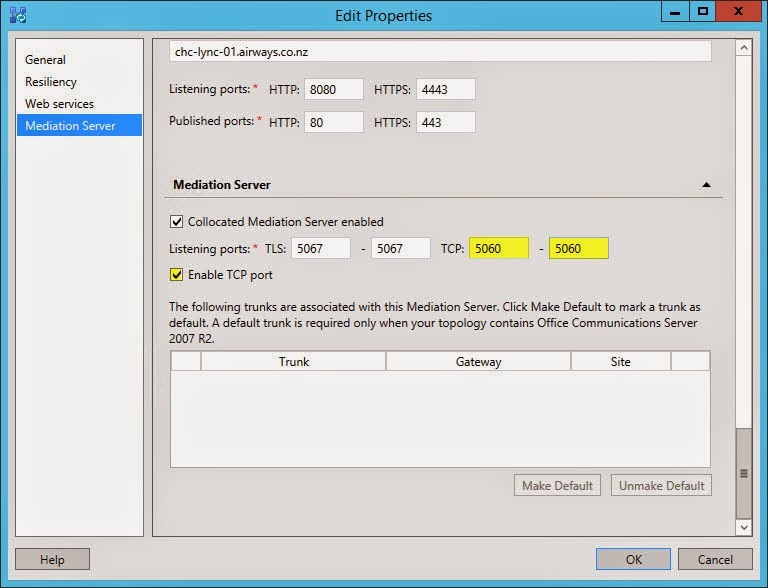 There are some really good resources available on how to setup SIP trunking between Lync and Microsoft Certified gateways (such as Sonus and Audio codes). 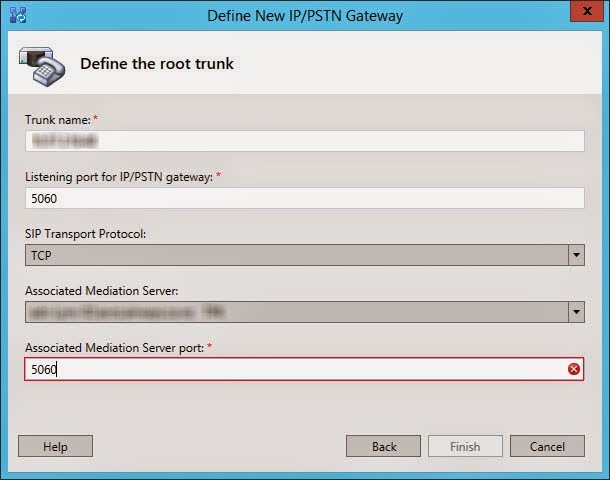 Unable to set the port to 5061 when adding a PSTN gateway in Lync Topology builder. Notice how finish is grayed out and we have an error next to the port. 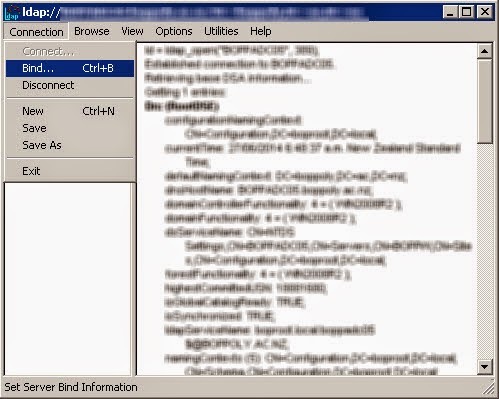 I came across an interesting issue yesterday..opening the Lync Management Shell I was presented with a blank shell window (nothing unusual there, just wait a few seconds, right?). However it just stayed right there, no connecting. 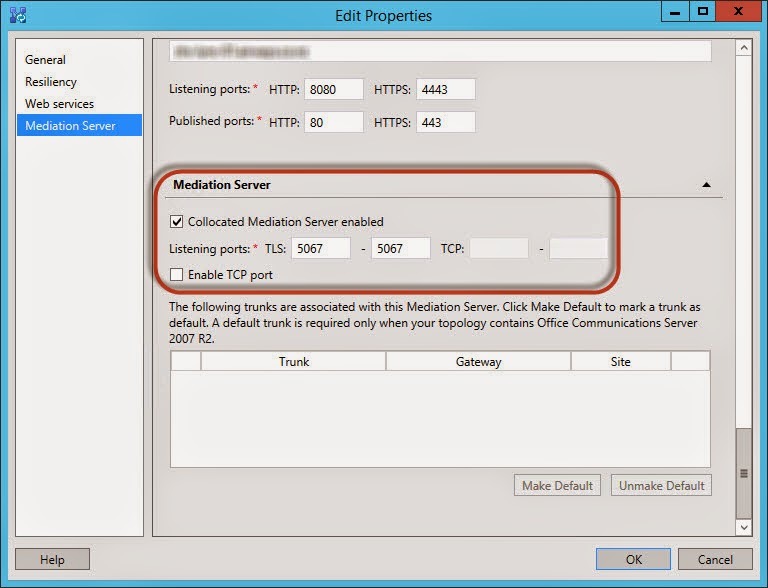 The environment is really a 4 site deployment with a total of 4 2013 front ends all running on Windows 2012 R2. 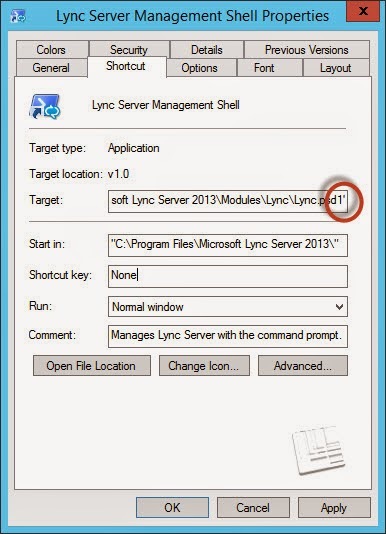 I fired up power shell and tried importing the Lync module just in case my Lync Server Management Shell shortcut had somehow been corrupted and that worked fine. So off to have a look at the shortcut I noticed that the decided to fire up the target manually in an attempt to isolate the culprit. Looking a little closer at the target I discovered that the closing quote was missing. Now how did that happen? Simply edit the target and add the missing close quote as seen below. 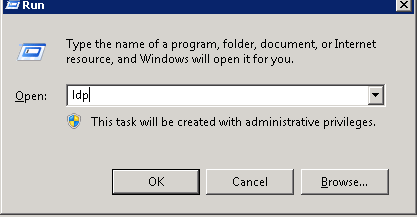 I went back to the Front End where the Lync Management Shell was working..to my disbelief its target is missing the closing quote BUT it works anyway. Adding the closing quote to the working target made no difference. Unbelievable. 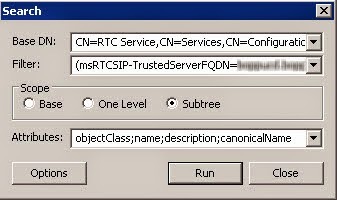 The old Lync 2010 Server\Pool was discovered when running ExchUCUtil. The image below depicts the 2 Pools I was expecting to see 1:2 and 1:1 BUT I wasn't expecting 1:4. 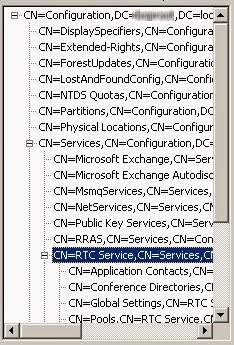 So when Lync is initially deployed a bunch of references are made in AD, of course if you remove Lync from the environment and don't do so gracefully then a bunch of unwanted references are ..still in AD. 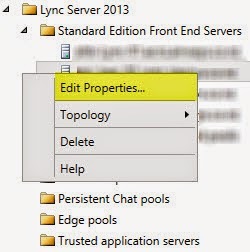 So far I haven't seen any other issues due to AD objects still referencing the old Lync 2010 Pool other than whats seen in the screen shot above, but (not being OCD of course) it needs to go as its messing with my Nirvana. A deep dive into AD to remove the reference to the Lync 2010 Server\Pool showing up here as 1:4. ADSIEdit to the rescue in this case. We will need to find the specific references which will refer to servers and pools in Global Settings, Pools, Trusted MCUs, Trusted Services and Trusted WebComponentsServers. So lets go and find these references then..
Be sure to select Subtree so it searches all the trees below this entry. Then click run. 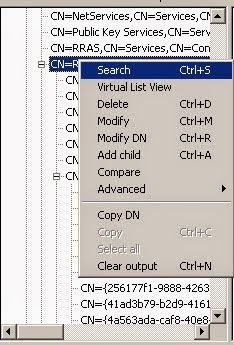 The search should return results in the righthand pane. Be sure to make note of these results because they will be required to find them in ADSIEdit. 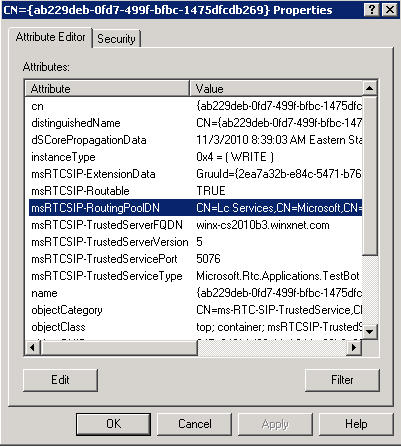 Next we will open ADSIEdit and connect to the configuration. The path to each CN is noted in the search we did just before so it really simple to find them. 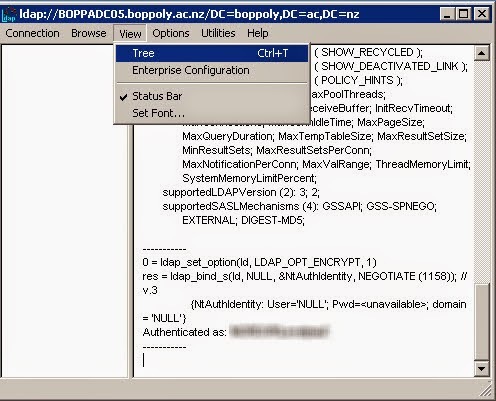 At this point you could return to the search in ldp and perform additional searches for Trusted Server and Trusted Web components. 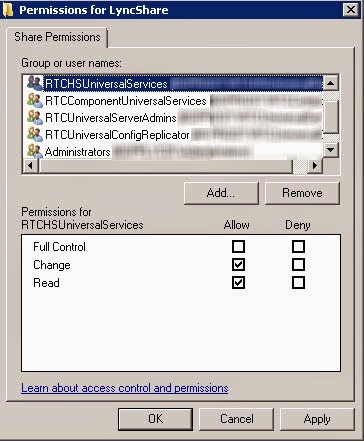 Running ExchUCUtil now shows just what I expected..
From time to time you may find that the deployment wizard fails at setting the permissions required to the Lync Share folder. OK so if you are OCD (and nothing wrong with that) then you may be compelled to make the event warning on your front end reporting on Invalid numbers every morning just after 1:30 am. Its arguably one of the most comprehensive and helpful Cause and Resolution events you may ever see! 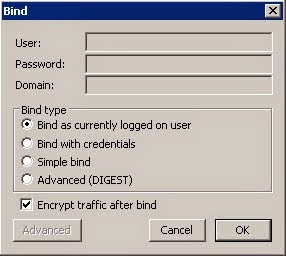 When Lync collects the user data from Active Directory a number check is done and only numbers that conform to the E.164 numbering format (I have noticed that an E.164 number with a x1234 on the end is also permitted by default) are imported. Hence the errors..
Edited for simplicity I have shown below just a sample of the culprits. Its VERY common to see entries with the strange SID looking user name, these are usually disabled accounts and can be hard to find the true user attribute. I usually do an advanced search and use the number attribute provided to find these. By the way, they do no harm just sitting there, its the valid accounts I concern myself with. The number assigned to Peter Pan above is valid (but not an acceptable default format). 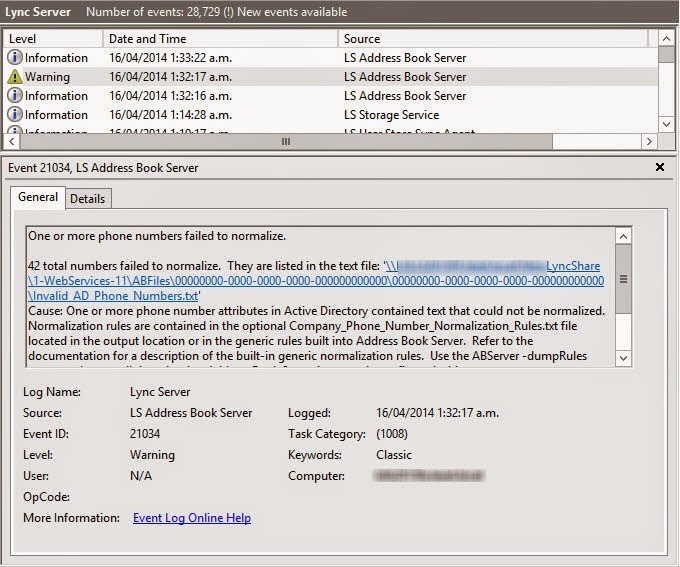 To format this number to a recognised number for populate the Lync Address Book service a normalization rule set can be created. The Second test was in the national format (095501234), this was normalised by our Company_Phone_Number_Normalization_Rules.txt file to the Line URI +6495501234 as required. Before adding these rules the non complying numbers don't show up in the users contact card, once the rules are in play and the address book has regenerated then the contact card show the numbers loaded from AD in the new accepted format.